This is the time of year when our garden starts looking pretty good. It’s that precious interlude where the tiny little vegetables start showing up on the vine, but before the bugs start eating them. 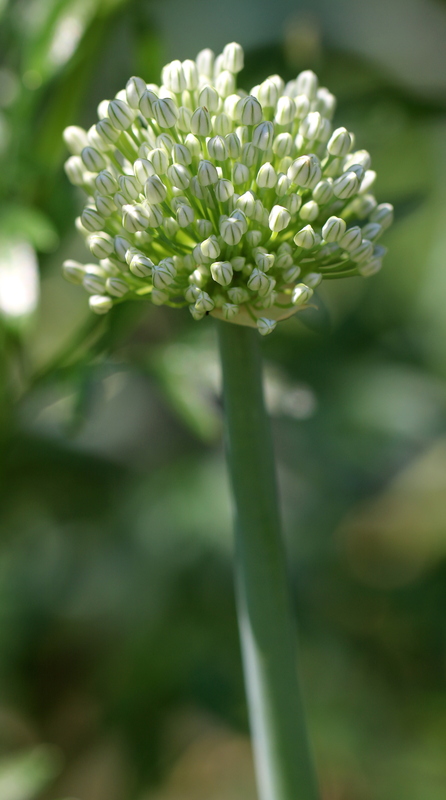 Also around this time, the onions and garlics start putting out their blossoms. A couple of years ago, I discovered that these blossoms are edible. 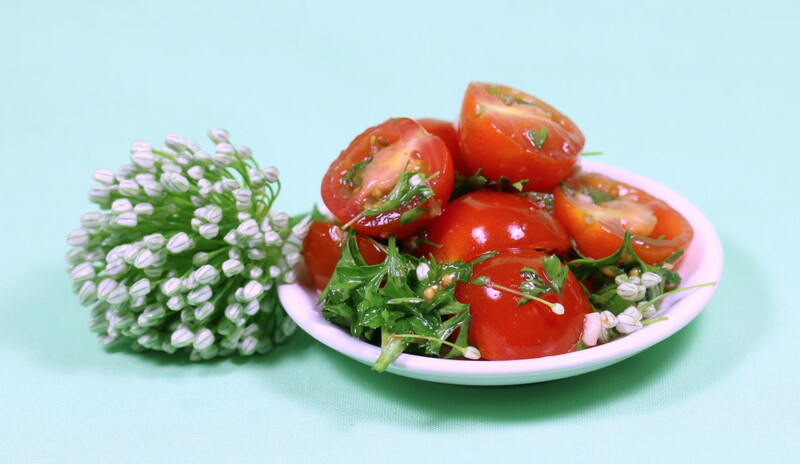 When you bite down on one of the little flower buds, it’s like popping a tiny onion or garlic bubble in your mouth. Delicious! I love to make fresh pico de gallo. Instead of using chopped onions, I decided to try the using blossoms instead. Everyone loved it. You can eat Onion Blossom Pico de Gallo as a dip, with fajitas, on tacos and burritos, or in a taco salad. You can eat it on French bread as a sort of bruschetta with a twist. Try it on scrambled eggs. Mix a couple of tablespoons of the pico with a chopped up avocado. Easy peasy guacamole! This recipe is great fresh the first day, but even better the next. By the way, I’m one of those people who thinks cilantro tastes like soap, so I use parsley whenever a recipe calls for cilantro. If you want to use cilantro instead, feel free. Also, I’m from Louisiana, so I use Tony Chachere’s Cajun Seasoning on almost everything I eat. Almost. One other thing, if your garlic is budding out, too, use one garlic blossom instead of the chopped garlic clove. If you don’t have an onion blossom, you can use 1/2 cup of finely chopped onions instead. Snip the onion blossom buds off the flower head so that they separate into individual buds. Add the buds and all the other ingredients to a glass bowl. Cover the bowl and put it in the refrigerator for a couple of hours to let the flavors meld.